Event Manager at MDS Events Int. Ltd.
Mala is a person of many talents. She is an Author, Coach, Mentor, Trainer, co-authored books based on personal positive self development” an Event Manager and a Cook, besides being a Wife and a Mother! She has a very strong passion for Learning and specifically, educating herself, so that she can then go and pass on this valuable knowledge on to others! Besides being all of the above, she also loves to volunteer when she can, but only where there is a strong element of True knowledge being passed on for the betterment of that sector. Having volunteered for several years for Young Enterprise (YE), where the emphasis is on going to deprived Inner London schools and coaching / training the young students from these areas on how to break the mould of their surroundings and progress determinedly into the wide world full of confidence and the ability. She has created bespoke training courses for groups of special children. Mala has always had the drive to achieve the impossible, beginning by learning to drive cars at the tender age of 12! This ability has never diminished, and she looks upon all new challenges as “A piece of Cake!” Indeed it was this attitude that helped her, at the age of 42, to decide to undertake a degree course in Psychology, while in an extremely demanding full time job as a Senior Portfolio Officer at European Bank for Reconstructions and Development Headquarters in UK. Very religiously minded, she is a devout Hindu. Being a strict vegetarian, which is where her love of cooking stems from, has led her, amongst other things, to partake in a series of YouTube videos with an Italian colleague who wanted to learn Indian Vegetarian Cooking the traditional way! So they decided to do the videos in English, Italian and Gujarati (Mala’s mother tongue language!) Mala has taken part in Indian Sweets and baking competitions which has won her prizes for creativity and originality. Mala has Co-authored several books, writing about differing subjects, all with Positive Themes! Indeed, it was one of these books that won her the “African Women in Europe – Best Author Award 2015”. She has also been nominated for several other awards, Won award for “Writer of the Year” by AWE 2014 including the Best Life and Woman Coach of the Year 2014. She also has an adventurous attitude, and does not think twice if there is an opportunity to participate. This began at a very early age when, in her teens, she went with a group to climb Mt. Longonot in Kenya. Years later, the same passion saw her as part of an amazing team climbing Mt. Kilimanjaro, Africa’s highest mountain Y2013! 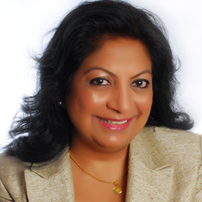 Mala is Master NLP Practitioner from Richard Bandler and Paul McKenna NLP Training. She is also a TrailBlazer trainer for the “Infinite Possibilities” programme by Mike Dooley Aka The Universe.